Nikon D800 vs D800E: which is right for you? Do you need that filter? With the launch of the D800, Nikon has taken the unusual step of releasing a special version called the D800E, where the anti-aliasing properties of the filter in front of the sensor have been removed. This enables the sensor to offer the maximum possible resolution, but you may need to change your shooting technique or use software processing post-capture, depending on the subject, to remove interference, or 'moiré' effects. What do anti-aliasing filters do? Most digital camera sensors have pixels arranged in a fixed, rectangular grid. And if you photograph a subject, such as fabric or a grating, which also features a fine, rectangular pattern, they can clash badly. This produces banding or false colour effects which can be quite prominent. You sometimes see this in photographs of TV screens, on TV news reports with interviewees wearing patterned jackets or ties, or in scans of printed documents. To get round this, digital SLRs use 'low-pass' or 'anti-aliasing' filters mounted directly in front of the sensor. They apply a slight blur, which is one reason why most digital images require some degree of sharpening, but they remove any risk of moiré patterning. Why would you remove the anti-aliasing filter? In medium-format photography it's common practice not to have anti-aliasing filters, risking moiré effects in some images in exchange for slightly higher definition. Where moiré patterning does occur, photographers use anti-moiré filters within their image-editing or raw conversion software to fix it. Nikon Capture NX 2 has an anti-moiré correction to suppress any moire in images from the D800e. The Nikon USA website has a Moire and False Color article which explains how it works and shows the small difference at a pixel level that removing the anti-aliasing effect has. The sharpness of fine detail is improved, but not by much, and careful sharpening of conventional D800 images may close the gap even further. Nikon also points out that to exploit the extra resolution you may need to tighten up your technique by shooting on a tripod rather than handheld, focussing more carefully and choosing the best lens apertures. 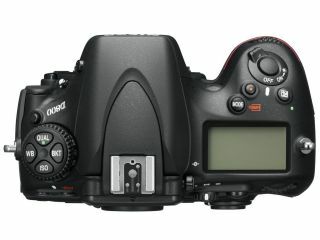 Why does the D800E cost £300 more? Users have been quick to assume that the whole filter over the sensor has simply been taken away, but it's not as simple as that. It's the filter's anti-aliasing capability that's been removed, not the filter itself, which has other functions besides. So you're not paying more for a camera that's had something removed. Instead, you're paying for a low sales volume modification, which makes more sense. The D800E will appeal to commercial/studio photographers who need the highest possible quality, even if it means taking more trouble at the shooting and processing stage. These might be medium-format photographers already used to removing moiré effects post-capture using software. The D800E might also tempt landscape photographers who are looking to capture the very highest possible level of detail, yet don't want to have to lug around the weight of a medium format camera kit. But, if you shoot handheld in a wide range of conditions and you want to be able to use your images straight away, the standard D800 is by far the best choice. The tiny drop in definition is offset by the huge benefit in day-to-day usability. The problem with moiré is that you won't know you've got it until you view the image at high magnification, and if you shoot JPEG files rather than raw files, it's already too late to fix it properly. The D800's 36-megapixel sensor is what produces its giant step forward in resolution, and the D800E just adds a few more points.